Although Portugal’s most famous contribution to food and drink is undoubtedly Port wine, its superb range of artisan cheeses, with their lengthy pedigree and traditions are equally a worthy addition to any gourmet’s household. 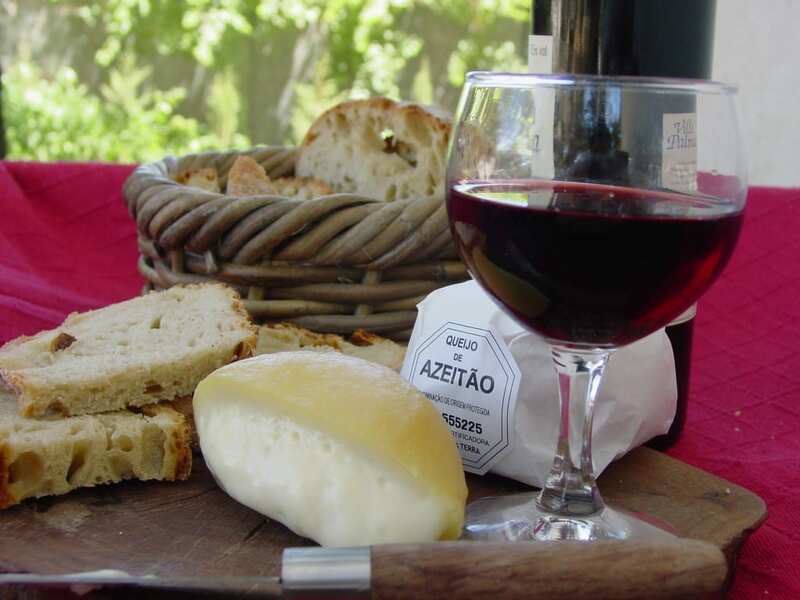 And while most visitors to this beautiful and historic country may well only bring home a bottle or two of Port, or possibly a table wine from the famed Alentejo region, they would do well to perhaps remember the delicious cheeses from the Serra de Estrela Mountains or the pungent Serpa cheese from southern Portugal. Indeed, although countries like France and Italy have a stronger association with high-quality cheese production, you would do well to explore what Portugal can offer you. It may have some nice surprises in store. Portugal, like most Western European countries, has a long and (very!) 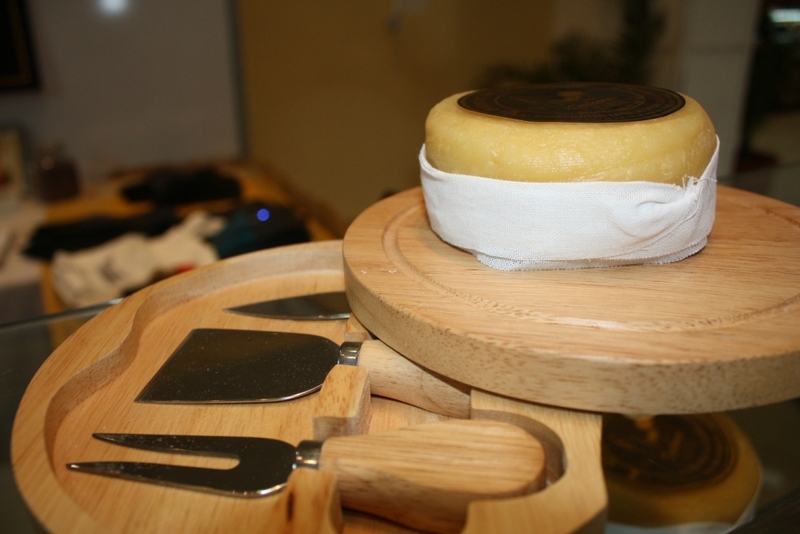 proud tradition of cheese making that has not evolved significantly over the centuries. The equipment and technology may have been modernized in some parts of the country, but the care and craftsmanship have remained the same. Today, there are broadly 15 distinct styles of Portuguese cheese, with the vast majority protected under appellation law. The appellation designation (Denominação de Origem Protegida) strictly regulates the production methods, the length of aging, the origin of production and labeling. That said it would be a mistake to discard other regional cheeses that may not have an appellation certification but can be just as delicious and often offer better value! 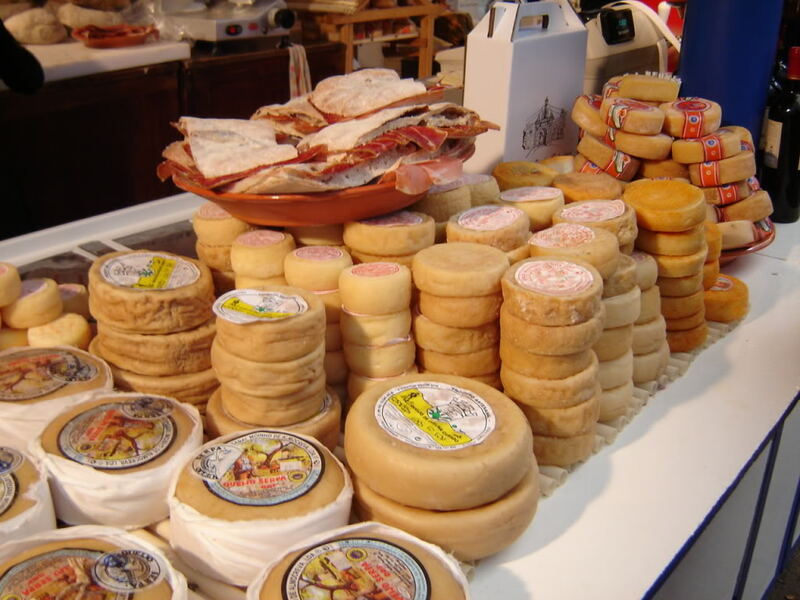 However, the cheese that visitors are initially most likely to encounter is the Queijo Flamengo, a direct copy of the famous Dutch Edam and ubiquitous in supermarkets and cafes across Portugal. It’s filling and cheap but has little to recommend in high-end culinary terms. But in contrast, the celebrated soft cheeses from the Serra de Estrela Mountains in the Beiras region are considered amongst the finest in Portugal. It is usually made from the sheep’s milk of two native species indigenous to the area, although it can be produced from sheep’s and goat’s milk outside the appellation framework. Its taste is unsurpassed, smooth, rich and creamy with a beautifully balanced flavor. It is not dissimilar to Brie in its texture and pungency. Another favorite is the DOP Azeitão, from the Estremadura region in western Portugal. It can only be produced from raw sheep’s milk in the aforementioned town of Azeitao, although good examples again outside the DOP are made in the neighboring towns of Setubal and Palmela. The smooth, creamy cheese is made using thistle flowers, rather than sheep stomach lining to coagulate the milk and has an intense, earthy flavor and pungent aroma. Not a cheese for the faint-hearted! Southern Portugal is also a good place to go hunting for excellent, regional cheeses. Perhaps start with a hard cheese from the city of Evora, the Alentejo regions’ most beautiful and charming town. Evora cheeses are made from unpasteurized sheep’s milk and have a wonderful salty flavor. Or try the excellent Nisa Cheese from the higher regions of Alentejo. A similar hard cheese, however, Nisa has a less intense earthier flavor than Evora, with notes of herb and vegetable. Another extremely popular cheese is the celebrated Serpa from southern Alentejo. Again this is produced from sheep’s milk and is subject to at least two years aging in cool Alentejo cellars. The consistency can vary greatly and the rind is seasoned with paprika and olive oil, this results in the cheese having a strong spicy taste and aroma. It has been recognized by food critics worldwide as one of the finest and unique European cheeses; the Slow Food Movement regularly list it as one of their top ten cheeses in the world. Moving into northern Portugal we encounter the fabulous soft Terrincho Cheese from the Tras-os-Montes region that bounders Galicia in Spain. It can only be produced from a breed of sheep native to the area; the Churra da Terra Quente gives the cheese a mild, easily palatable flavor, enhanced by paprika and the curing process, which uses rye. 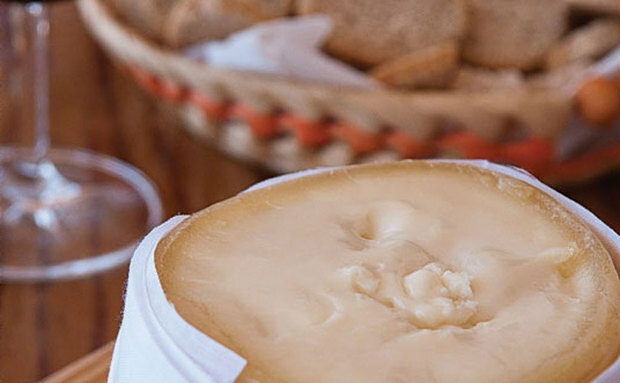 The DOP cheeses of Bragança and Vila Real are also justly celebrated; under the appellation guidelines the Cabra Transmontano cheese must come from a special breed of goat – Serrana Negra – and be matured for a minimum of 60 days. The resulting product is fantastic, a hard cheese with a precise, slightly spicy bouquet and piquant taste. You will also want to look out for the (a nightmare to pronounce but delicious to taste!) – Amarelo da Beira Baixa and the Rabacal cheeses from the Beira region. Amarelo is produced from raw sheep and goat’s milk; the aging process can last up to 90 days or longer. The cheese is extremely smooth and creamy, with a pungent aroma married to a silky texture, the saltiness just taking the edge off the creaminess. A cheese perfect for the after-dinner course that deserves a powerful white wine. Rabacal is a semi-hard cheese that can either be made exclusively from sheep’s milk or a mixture of sheep’s and goat’s milk and must be matured for a minimum period of 20 days. At this point, you may think that mainland Portugal has the monopoly on fine cheese production but this is not so: the unspoiled, idyllic volcanic islands of the Azores in the North Atlantic are home to two DOP cheeses. Both are named after their respective islands – Pico and São Jorge – and are excellent cheeses to rival the best from the mainland. Pico, delicious soft cheese with a strong aroma can be made from cows’ milk or a mixture of cows’ and goat’s, whilst the hard São Jorge cheese must be 100% cows’ milk and is aged for a minimum of 30 days. It is still one of Portugal’s largest and finest cheeses, with an intense fiery flavor, crumbly texture, and fine aroma. Of course the above is merely a snapshot of the most important DOP Cheeses and you can find many more exciting examples that are exempt from the DOP framework. Take Vila Velha for example, which is made in the Beiras region. It is a similar cheese to Amarelo da Beira Baixa, but because it does not have DOP protection it is significantly cheaper and more accessible but every bit as delicious. But whatever your preferences, be it hard and pungent or soft and velvety cheese, you are bound to find something you love in Portugal’s rich traditions of cheese making. Go Azeitāo! love those oozy, delicious, torta-style cheeses, both Portuguese and Spanish. I miss them here in the US a lot!